I live by the quote of German aviator, airline executive and religious leader, Dieter F. Uchtdorf. 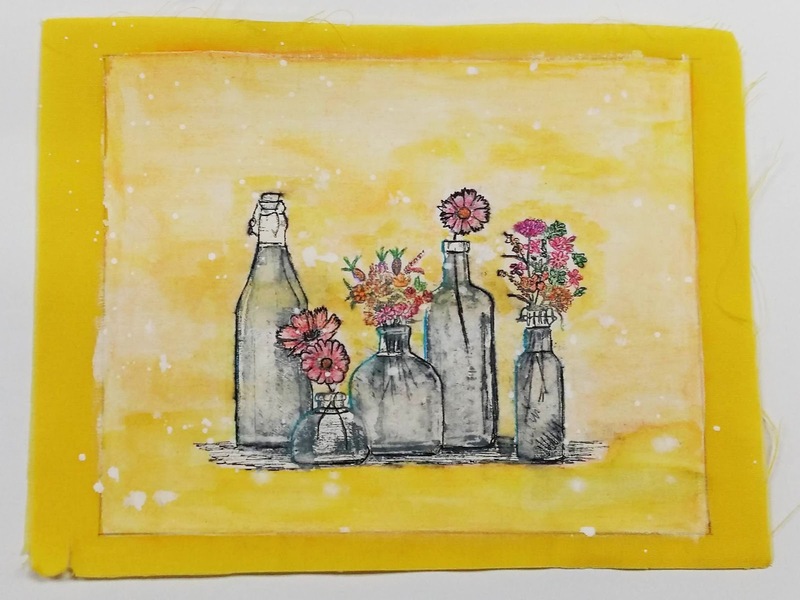 He said, "What you create doesn't have to be Perfect." Indeed, wise words from Dieter. When I was young, I wanted to create the most beautiful paintings with watercolours. I wanted to create THE perfect painting, but I NEVER succeeded. I was told practice makes perfect, so I tried, not wanting to give up. Again, I did not achieve what I aimed for. Did I give up? No! Why? Because as I grew older, I learned that if you cannot paint or draw, there are other ways to be creative. 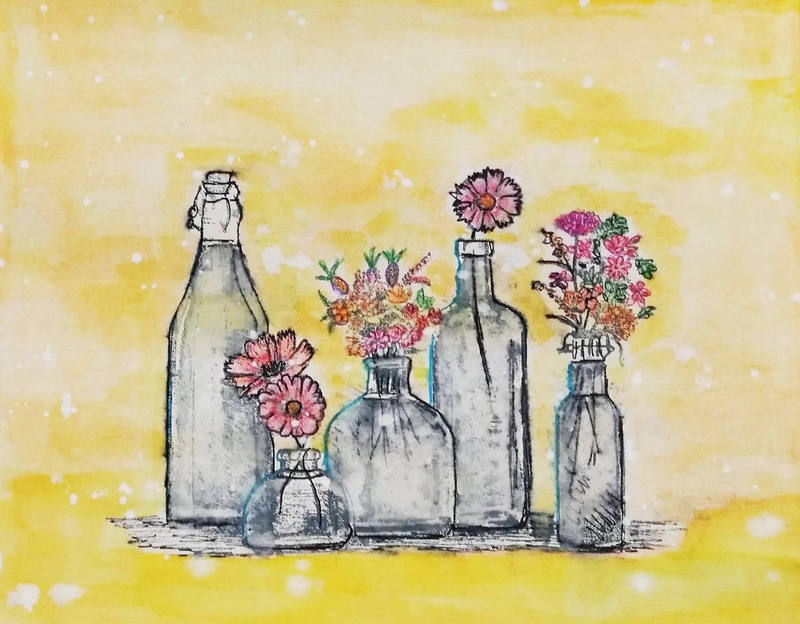 Sure, it may not be as perfect as an original fine art piece, but the techniques or methods that you use will allow you to create your own masterpiece. Note: The above materials are washable, therefore you can try sourcing for materials that are permanent if you wish to wash them. Cut out a piece of cotton fabric with the measurements: 20.5cm x 15.5cm. Draw a 1cm border around the fabric as your guideline. Then, apply approximately two coats of gesso onto the material. 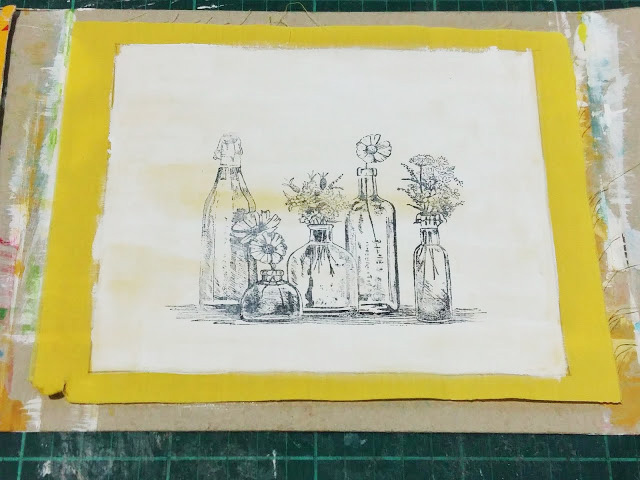 Once the gesso is dried, water colour the background and stamped any of your favourite image onto the fabric using the black stamp pad and allow it to dry. 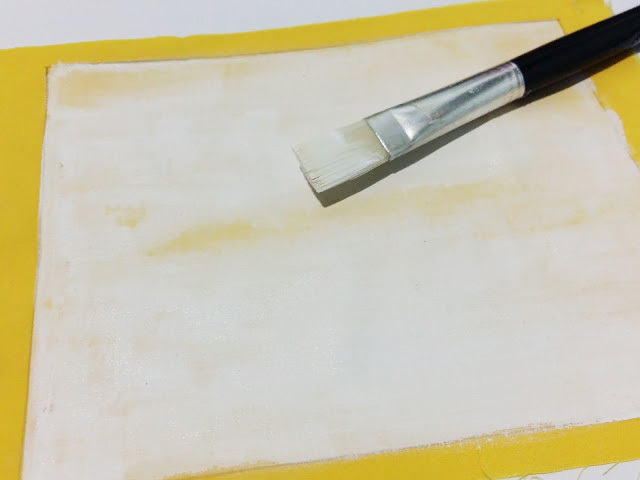 Next, colour the image using watercolour pencils and outline the image with a black pen. Here is the final outcome of the project! Isn't it easy? 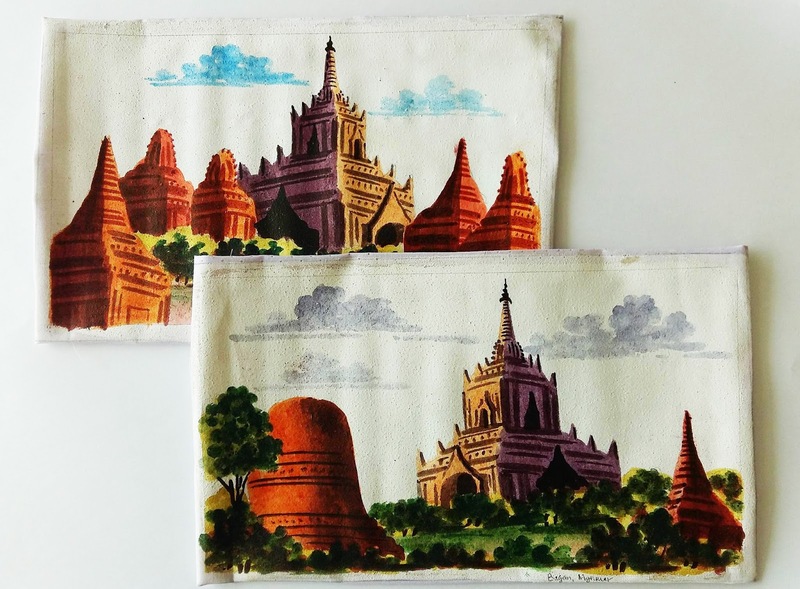 Here's another piece I did which was inspired by a piece of souvenir a friend brought back from Bagan, Myanmar. Apparently, these art pieces used the sand around Bagan and are replicas. There are many ways to play around with this technique. 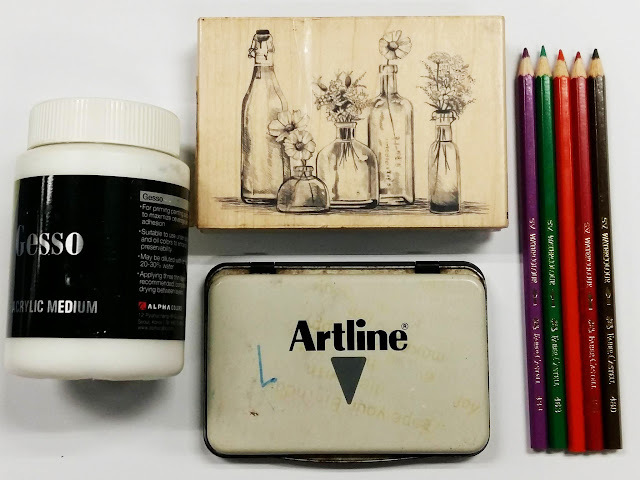 You can leave it blank or just outline the images with coloured pens. I hope you found this technique useful. We would love to hear from you if there is another way or technique that you use. Share with us!